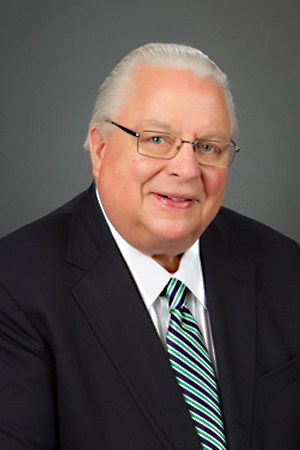 Tom Carlton joined Cornelius & Collins, LLP in 1970. Tom served as the firm’s Managing Partner for three years, and is currently the firm’s Senior Partner. For over forty years, Tom’s primary focus has been civil litigation in a wide variety of matters, including personal injury, wrongful death, product liability, professional liabiliy and insurance law. He is admitted to practice in all state courts in Tennessee, as well as the United States District Court and United States Court of Appeals for the Sixth Circuit. He is also certified by the Tennessee Supreme Court as a Rule 31 Listed General Civil Mediator. Tom has been recognized numerous times by his peers for his significant and successful experience as an attorney and for his contribution to the legal community. He is a Fellow in the American College of Trial Lawyers as well as being listed in Best Lawyers in America since 2009 and listed in Who’s Who in American Law since 2007. He was selected for inclusion in Mid-South Super Lawyers in 2008. Tom has been elected twice to the Board of Directors of the Nashville Bar Association and has been elected a Fellow in the Tennessee Bar Foundation and the Nashville Bar Foundation. In addition to his active practice, Tom has served as a Moot Court Instructor for the Nashville School of Law since 1978. Tom received his law degree from the Nashville School of Law in 1965. He obtained his undergraduate degree from Vanderbilt University, where he graduated with a Bachelor of Arts.